On Wednesday, 26th October, at 6.30pm. I have been very kindly invited by Greenhead Local History Group to give talk on the Wall as described below. 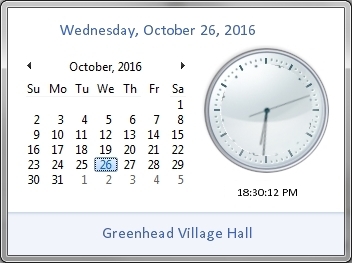 The Greenhead Local History Group Public Lecture in October returns! The subject this year will be those two “other” structures that form part of the package we know as “Hadrian’s Wall : the Vallum and the Turf Wall. We know they existed, we know roughly where they were, and can recognise bits of them as we pass by, but few of ushave really understood much about them, and visitors often fail to notice them at all. So we do tend to airbrush both of them from our mental picture of “The Wall” and the facts are rarely questioned. Geoff Carter, on the other hand, has looked closely - and he has come up with some interesting questions for us to consider. Geoff is a Structural Archaeologist, believing that “just as knowledge of potting is necessary for understanding pottery, so understanding engineering is important for a archaeologists dealing with the archaeological remains of engineered environments … being able to think like potter or an engineer…"
“The Vallum is one of the largest earthworks in the world, part of Hadrian's Wall World Heritage site, and yet is seldom discussed, perhaps because while its interpretation may work on paper, it makes less sense on the ground. The Vallum is one of the oldest concepts in the literature of Hadrian’s Wall, originating with the Venerable Bede in the eighth century, and while this structure is not a vallum in any way shape or form, all subsequent literature would appear to have developed from this idea. In more recent times, it was apparent that the earthwork was not defensive, but it was nonetheless usually regarded as a boundary or barrier between the Wall and something else, with even the language used to describe the earthwork being shaped to accommodate this underlying assumption. 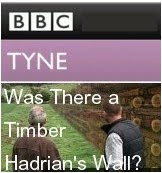 - So - come and find out what Geoff has discovered, both about the Vallum and about the Turf Wall! 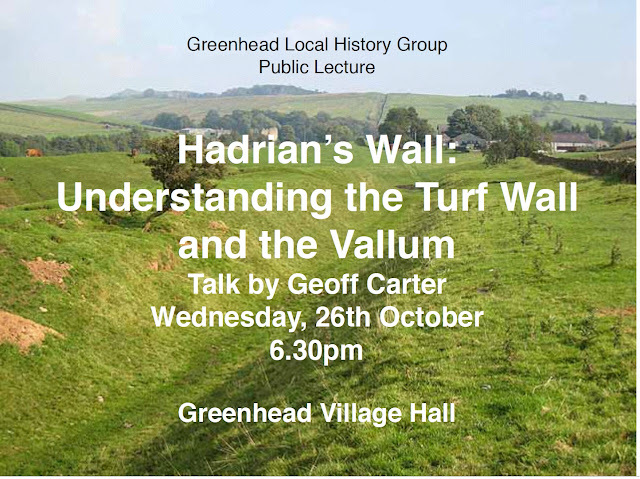 The lecture,“Hadrian’s Wall: Understanding the Turf Wall and the Vallum”, takes place in Greenhead Village Hall on Wednesday, 26th October, at 6.30pm. refreshments afterwards about the Local History Group, its past activities and its possible future, as well as about what we have heard. 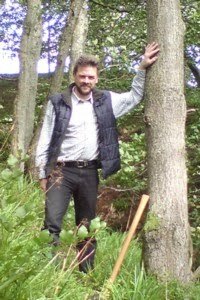 The Vallum; A Mysterious Earthwork?